If yesterday's The Americans owes a debt of gratitude to Homeland for its origins, then it sounds like this next new TV series owes more than a nod to Showtime's Dexter. 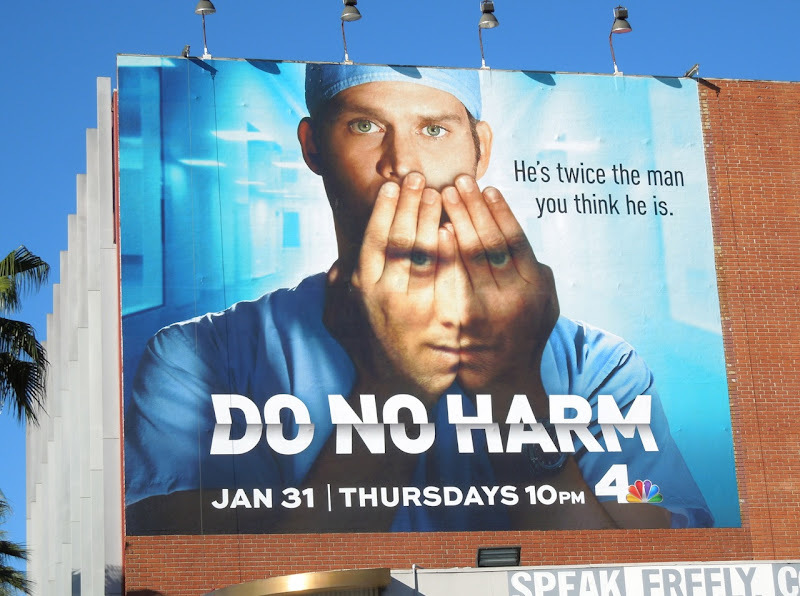 Steven Pasquale stars in this modern take on Dr. Jekyll and Mr. Hyde as 'Dr. 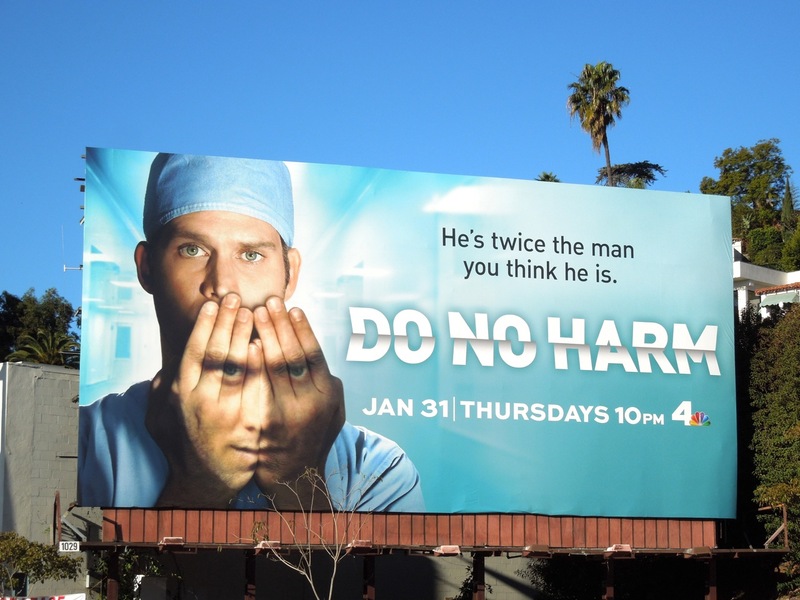 Jason Cole', a successful neurosurgeon who has kept his sinister alter-ego, 'Ian Price', at bay with a powerful experimental sedative which after many years is now wearing off. 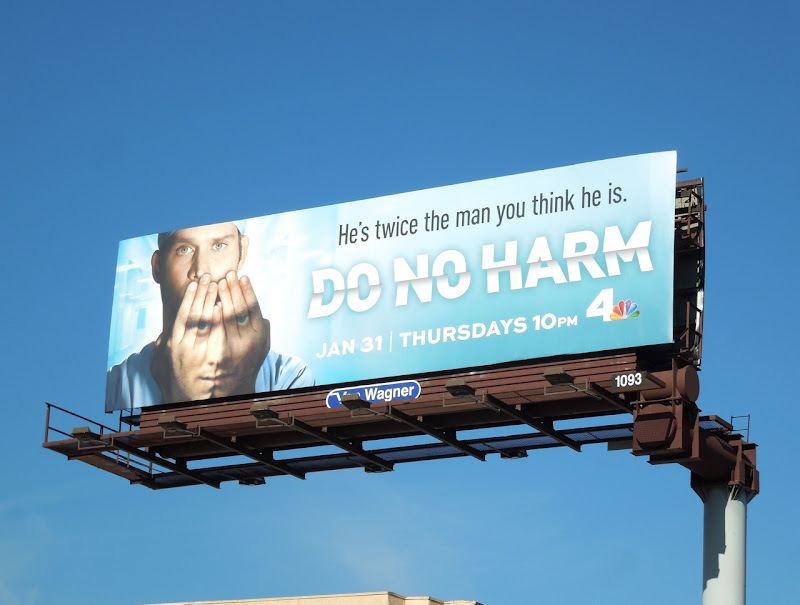 Whereas 'Dexter Morgan' is a police forensic expert who uses his 'Dark Passenger' to kill serial killers to curb his dark desires, it looks like in this instance Dr. Cole is in far less control of his impulsive side, who may be slightly less bloodthirsty, but who still wants revenge for being suppressed for so long. 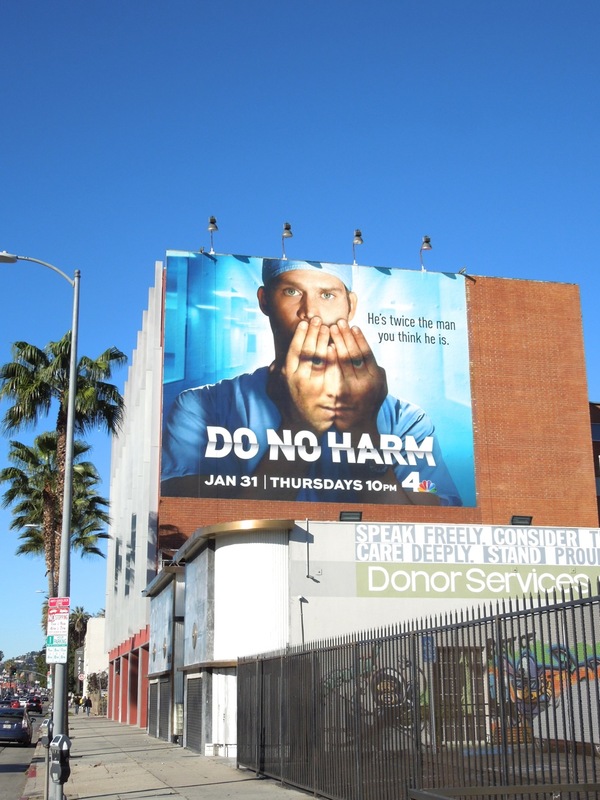 All that being said, this Do No Harm creative is such a cool and intriguing visual and really catches your eye as you pass by. 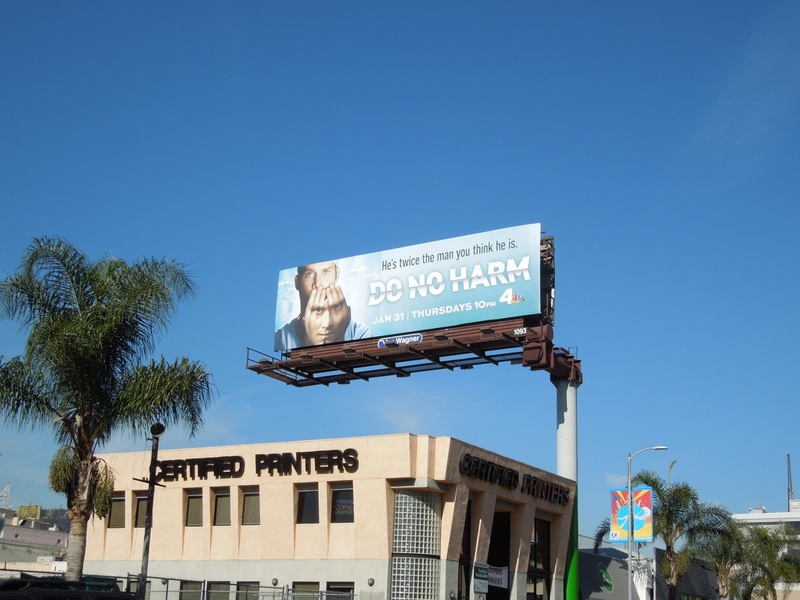 The standard landscape format was snapped along North Cahuenga Boulevard, whilst the squarer creative was spotted along Sunset Boulevard on January 7, 2013. 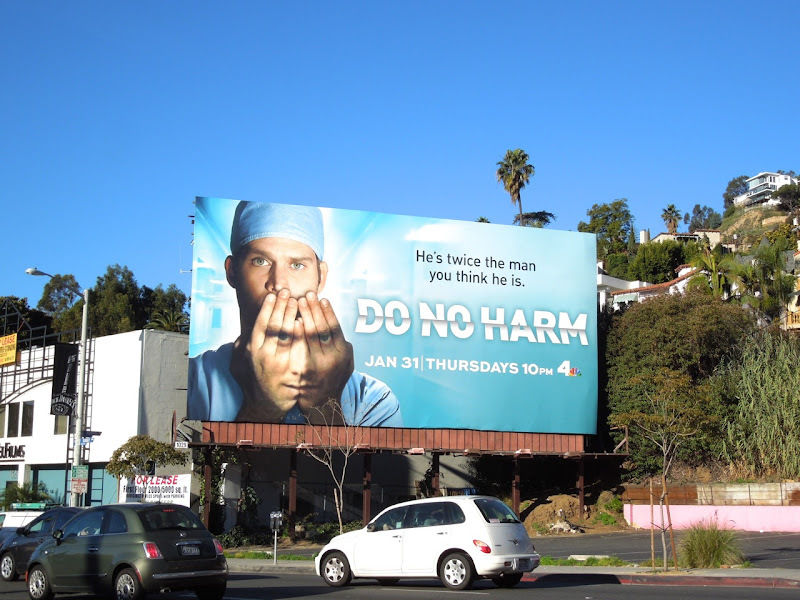 If you like these ads, be sure to also check out these billboards for Dexter too. 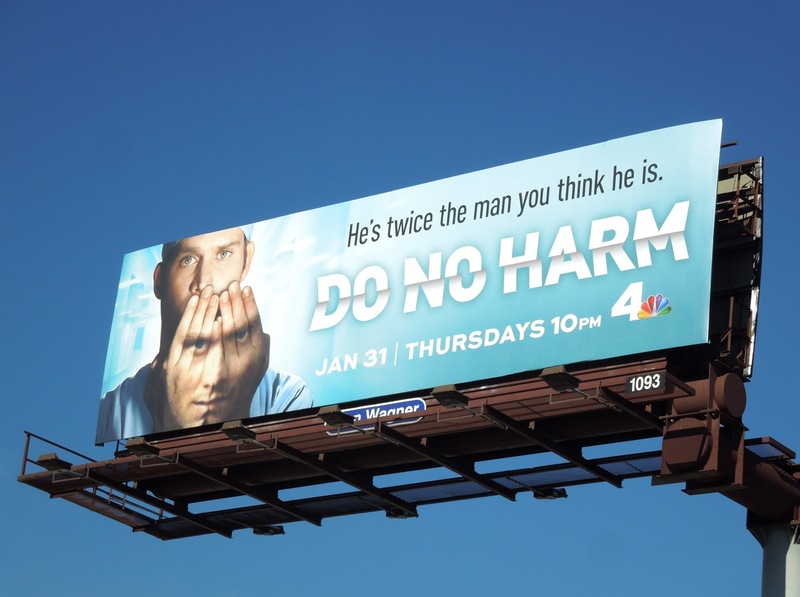 UPDATED: NBC are certainly snapping up any spare billboards around L.A. at the moment to promote their new psychological drama. 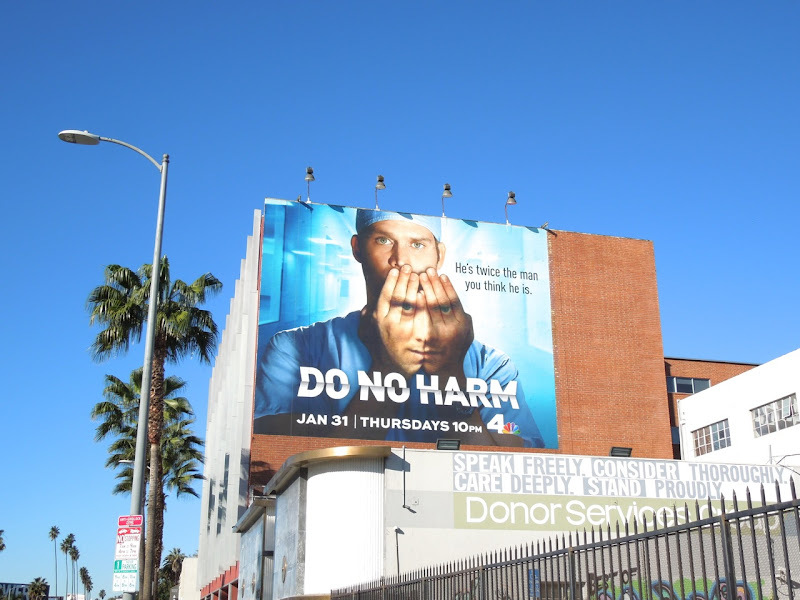 This larger ad version was snapped along Sunset Boulevard on January 17, 2013.